As holiday let owners we all like to think we are cautious and unlikely to get caught out by accidents or injuries in our rentals. Although rare, accidents do happen. When they do you need to ensure you have followed any legislation that applies to renting out your holiday home and that you are protected against subsequent legal action. There is nothing more important than the safety of the guests at your holiday rental. We’ve put together a list of the most important safety checks and regulations to consider that can save you a lot of distress. Even when you have insurance, the consequences of a fire can be devastating. There’s a possibility of losing everything you own, and in some cases serious injury for those unfortunate enough to be inside when fire breaks out. Having an understanding of the fire risks at your holiday cottage is vital to ensure guests have a safe stay and prevent outbreaks. Holiday home owners are responsible for understanding fire risks, taking measures to protect guests and complying with Fire Safety Law (known as Regulatory Reform (Fire Safety) Order 2005). Here is our advice on creating a fire risk assessment with a link to the ‘Do You Have Paying Guests?’ guide. This gives accommodation providers essential information on complying with fire safety law and shows an example of a fire risk assessment form. There is also this guide for holiday cottage owners in Scotland. If you let via an agency, they should also advise you on fire safety. Put yourself in the position of a guest who is in an unfamiliar property and disorientated in darkness. A fire breaks out in the night, how easily is it to find the exits? Some form of emergency lighting, such as those mains charging torches that light automatically if there’s a power failure are a really good idea. Well-maintained smoke alarms are a must for any holiday property, but worryingly – there are still properties without them. No smoke alarm was present in 12,000 (31%) of dwelling fires in Great Britain and nearly 40% of dwelling fire deaths occurred in properties where no alarm was installed. There have also been reports of holidaymakers disconnecting them completely and removing the batteries to use elsewhere! Part of your changeover checklist should be testing your smoke alarm after each rental. If you like your technology, then smart devices such as Nest Protect allow you to monitor you home remotely. Your smart phone will alert you when smoke (or CO) is detected or the batteries are low – even when you are not at home. Holiday cottages that feature an open fire/log burner are in high demand, but they come with risks as this lady found out when her chimney caught fire. There are approximately 7,000 chimney fires every year in England – which is about 20 a day. Many of these could be prevented with routine maintenance. Regular cleaning of your chimney or flue can reduce the build-up of soot, clear obstructions such as bird nests, help prevent fires and carbon monoxide poisoning. Take into consideration that many of your guests may not have ‘real’ fires at home and will therefore have limited knowledge of how to use them safely. Communicate with your guests how to safely use your fire, including lighting and extinguishing. A fireguard should be provided and used at all times as stray sparks can easily result in a fire or damage carpets or flooring. Here is some good advice from the Devon and Somerset Fire & Rescue Service on chimney sweeping and operating an open fire/wood burner safely. Print and leave a copy in your guest folder. Invisible, odourless, tasteless – carbon monoxide can be lethal. The tragedy of Christi and Bobby Shepherd who lost their lives on holiday as a result fumes from a faulty hot water boiler and Neil McFerran and Aaron Davidson who died after a gas leak in a holiday apartment, highlight the fatal consequences of ignoring carbon monoxide safety. As an accommodation provider you have a duty to take all the necessary measures to reduce the risk of carbon monoxide poisoning. Yet a survey carried out by the Carbon Monoxide – Be Alarmed! campaign found that only 39% of people have a carbon monoxide alarm. Most holiday homes have a potential source of carbon monoxide. Install carbon monoxide detectors, check them regularly and provide your paying guests with instructions on how to operate appliances safely. 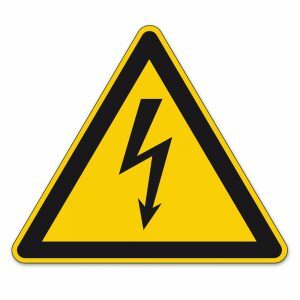 There are around 30 deaths and 4,000 accidents annually in the UK involving electrics. Don’t neglect your electrical safety obligations as you could be liable if a holidaymaker is injured. You need to take all reasonable steps to avoid incidents. Holiday let landlords have a duty to regularly carry out safety checks to ensure that the electrical appliances and fittings within the property are safe and in good working order. In addition to regular visual checks, appliances/electrics should checked and serviced regularly by a NICEIC registered electrician. You should also ensure that guests are given operating instructions for all equipment in the holiday home. 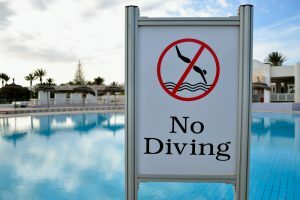 Although desirable, a swimming pool is always a danger area, especially with young children who could tragically drown or sustain a life changing injury and take legal action. You need to ensure that you take reasonable precautions to prevent accidents, because in the event of a serious incident investigations will focus on whether you were responsible. Install a fence with a self-locking gate around the pool. The majority of drownings that occur in private pools could be avoided if pools were fenced off. Display signage around the pool stating that guests should not dive, run, indicate the depth of the water and that parental supervision is required. Set clear guidelines for the pool’s use in your welcome pack. Provide safety equipment such as a life hook, ring and a ladder/steps in the pool. A risk assessment should be carried out for guests and anyone working near the pool, for example cleaners. Many accidents happen from slips and trips around the pool, a non-slip surface can help prevent this. Keep a record of any pool maintenance. Swimming pool legislation will differ depending on the country, so holiday home owners should familiarise themselves with local regulations e.g. France. The Health and Safety Executive (HSE) has a useful guide that is available to download from their website. Managing health and safety in swimming pools. A hot tub is desirable addition to your holiday home’s garden, however owners have a duty to assess hot tub health risks and comply with the Health and Safety Executive “guidance” on how to clean and maintain a hot tub. This post explains further with a link to the guidance. Have you taken safeguards to limit the risk of slips and trips in your holiday home? Fatal accidents happen, especially when guests are in unfamiliar surroundings. You have a responsibility to ensure the safety of holidaymakers and employees. Regularly inspect your floors, rugs, mats, carpets and check for trip hazards. Check handrails are securely fitted, lighting is adequate and water spillages are minimised on bathroom floors. Not forgetting external paths, the driveway, patios, steps and decking are free of defects and slip hazards. Your changeover checklist should have a procedure to identify hazards, so they can be rectified as soon as possible and be prevented from happening again. Whilst bouncing up and down will provide plenty of fun for your guests, trampolines are the leading cause of personal injury for children according to research from Direct Line. Most injuries seem to occur when more than one person is jumping at the same time, and adult supervision rarely makes a difference. Although the risks can be reduced with safety precautions such as nets and padding, we recommend you don’t supply a trampoline. The potential £100,000 personal injury claim simply isn’t worth it. Although you may get much enjoyment from using your little boat and canoes at your lovely waterside holiday house, letting guests use them opens can of worms. How do you know if your guests are competent and that equipment will always be safe? Direct guests to a local water sports hire company instead. If you’re providing bikes for your guests then you’ll need to ensure they’re inspected and maintained after each rental and are in full working order. Unless you live on-site and are competent bicycle mechanic, this will be difficult. Instead point guests towards local cycle hire companies and provide a secure space for those guests who wish to bring their own bikes. Bike friendly doesn’t mean you have supply bikes, just the facilities to store, clean and useful information on local trails. Before you do any of the above, confirm with your holiday cottage insurance provider if they are happy to extend your liability insurance for such activities. It’s probable that any cover will be limited, with stringent terms applied. If your accommodation has a balcony, check the height and robustness of the railings. Especially if you cater for families with young children who are eager to climb. Are beds and furniture structurally sound? Each year thousands of people end up in emergency rooms after falling off chairs. If possible avoid furniture with sharp corners and glass. It will decrease the likelihood of bruises, bumps and injury. Opt for wood or other solid materials with smooth edges. Although candles create a cosy ambience, they cause thousands of house fires each year. Use electronic candles instead. They give the same cosy effect of a regular candle, without the danger. Avoid window blinds with hanging looped cords, these are a strangulation hazard for small children. -Fence off any areas of water, however shallow, such as the pond. Providing guests with a 24/7 phone number that they can contact you on in case of a ‘domestic’ emergency (like a burst pipe or power cut), not only helps in moments of panic, it assures guests that you take their safety seriously and helps minimises damage. Your handbook should also have clear instructions on where they can turn the gas and water off should they ever need to. It is vital that you, your housekeeper and letting agent adheres letting legislation, takes precautions and remains vigilant to potential safety risks in your holiday cottage. This ensures guests enjoy their holiday in the safest possible environment. When an incident occurs, for example a guest falling down stairs, it’s likely that proof of negligence would be necessary to make a successful claim. It would have to be proved that the holiday property owner was aware of a potential danger and had done nothing to remedy it. Therefore, if there is a potential hazard, rectify it immediately. Defending injury claims can cost thousands of pounds in legal fees. Therefore, your holiday home insurance should include public liability insurance which not only covers any damages which might be awarded to the claimant, but also the legal costs of defending the claim. 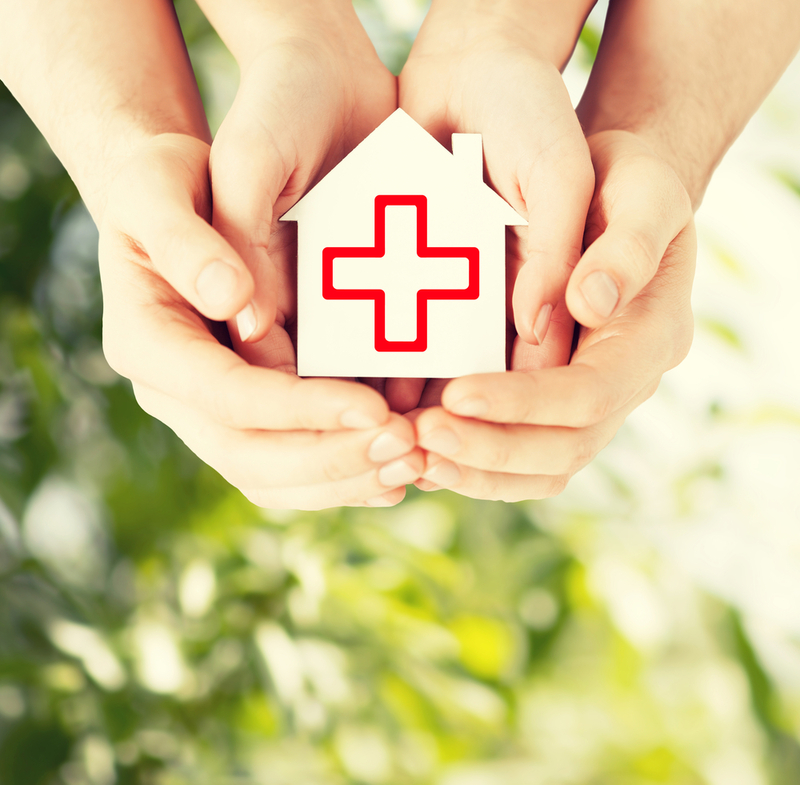 Without insurance you could be responsible for all costs in defending your case. Although your priority when letting your holiday property may be maximising occupancy, don’t overlook that you have a duty of care to your guests and to comply with health and safety legislation. To keep updated and for further advice read the guide to legislation relevant to accommodation providers from VisitEngland. We recently stayed in an Eco lodge. The temperature was between 30 and 35 degrees for a majority of the time. The windows that opened were full length and could not, therefore, be left open through the night. Consequently, there was no flow of air and it was unbearable – some people from other lodges went home. We bought a fan as the site supervisor said they could not purchase any. Should there be fans, windows that can be opened at night or air conditioning in such buildings given the way in which they are designed to retain the heat? Thank you for your comment. You didn’t mention where the lodge was – UK or abroad? I should imagine that after the complaints the lodge owner will now have a supply of fans/mobile A/C units available should this happen again in the future. later when some repairs had been done a refund has been refused. the market which is unhealthy and unsanitary against the law. Have you reported all of this to the owner/booking agent? Hope you can help. My son is staying in a holiday let cottage. It is on the owners land along with other cottages which are renovated farm buildings. When my son was walking to his car he skipoed over on ice and has a badly sprained ankle. Are we in a position to ask for compensation As the parking areas were not gritted. This has affected my son from enjoying his holiday and he will be unable to return home when he is supposed to as he can’t drive. Hi, report the incident to the owners who should then inform their insurers who will deal with any personal injury claim. My partner and my self have just returned from a 4 night stay at a hotel on lochard, in as they quote a luxury self catering apartment , the weather was quite inclement but nothing new to that part of the British Isles,on arrival it became apparent that the accommodation was very cold indeed and the woo fully inadequate and antiquated electric heaters where unable to provide anything like a comfortable temperature of around 12 to 16 degrees C infact the main bathroom was so cold we couldn’t shower and using the loo in the middle of the night was a painful process. When questioned the staff where very apologetic and explained this was a very common complaint and would I please complain strongly as they felt that the upper management refused to address the issue . May I ask is there a minimum temperature that should be achieve able by law . We stayed in a Cornish cliff chalet. The owner supplied a barrow to transport luggage and shopping. Unfortunately the barrow had no brakes or braking mechanism the only way to stop the barrow was to lower the one handle and a long spike then dug into the ground. As the chalet was down a very long steep path gradient brakes was vital unfortunately not on this barrow. I had a accident on first visit down the hill with barrow, which sent me falling and caused me to end our paid holiday after one night. The holiday letting agent says the owner is responsible. The owner just gives me he’s insurance company details who say if I file a claim at county court they will counter sue for thousands what should I do??? The owner should forward details to their insurance company who should deal with any subsequent claim.